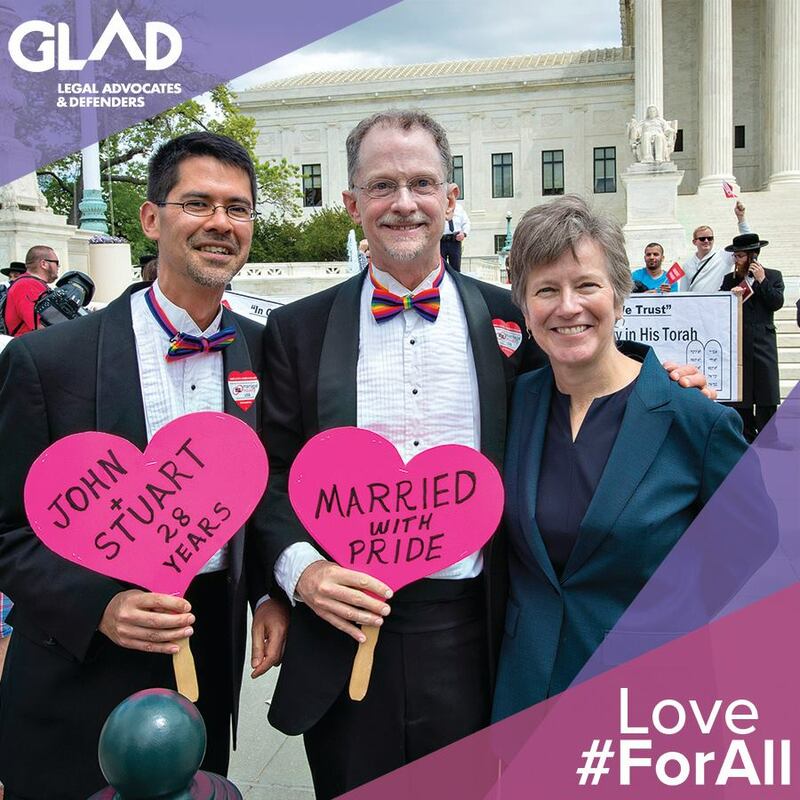 One year ago today, love won as couples and families across the country heard the news that their love was affirmed by the highest court in our nation. Today we celebrate that victory and reaffirm our dedication to the movement to create a free and just society #forall. Even as we celebrate the one-year anniversary of an incredible milestone, we face an onslaught of legislation intended to whittle away the rights of [LGBTQ people] to be treated equally. Currently, there are over 100 bills across the country, targeted at taking our rights away – bills that would allow discrimination against LGBT people in: restaurants, businesses, adoption, government services, marriage licenses, bathrooms, health care, mental health counseling, homeless shelters, and the list goes on. [But] these are the signs that will guide as we move forward: Love not hate. Dignity declared. We are all in this together. Whether it is for protections for LGBT youth and older adults, racial and economic justice for our community, or transgender rights, we have so much more to accomplish ahead, standing together. On this one-year anniversary, let us recommit ourselves to the fight for justice and create a future of true equality for all.